South Australian growers contribute over $1.5 billion to the state economy each year. AUSVEG SA is supporting our growers to reach their potential and grow our great state. AUSVEG SA is the statewide representative body for South Australia's $700 million vegetable industry. We work with governments of all levels to advocate on key issues and deliver a number of key industry development programs which support the hardworking growers of our state to reach their potential. AUSVEG SA is underpinned by a strong membership of growers from throughout the state who have joined us to grow our industry and present a strong, unified voice to government. We welcome any growers or community supporters who would like to become part of AUSVEG SA! AUSVEG SA is leading the charge on behalf on industry on critical issues with politicians and in the media. We work proactively with all levels and sides of politics to secure exceptional results for industry which make it easier to do business and unlock our industry's potential. AUSVEG SA delivers a strong program of industry development programs and events to ensure our industry remains competitive and viable. We are passionate about ensuring that our members have access to the skills and knowledge to grow their businesses in a competitive market. AUSVEG SA welcomes South Australian growers to join with us to help grow the contribution horticulture makes to our great state. We welcome all growers to be a part of our association and help drive our strong program of industry advocacy and events. AUSVEG SA relies on the support of our Corporate Partners to deliver our industry leading advocacy campaigns and programs. We thank the following companies for their support of our association. 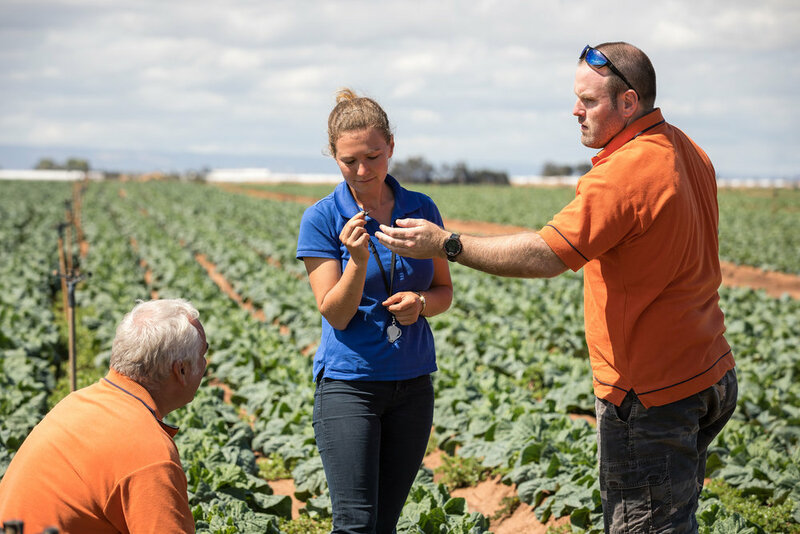 As we opt to keep grower membership costs to a minimum, Corporate Partners are essential to supporting AUSVEG SA in our role as the leading advocacy group for the South Australian horticultural industry.